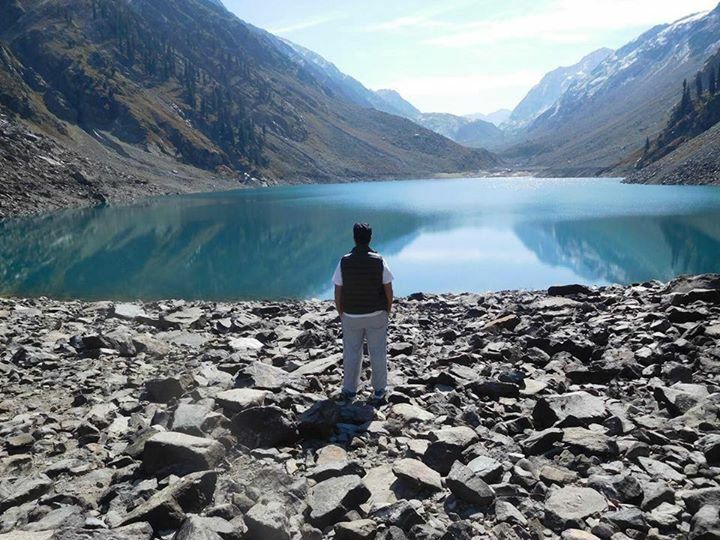 Kundol Lake also known as Kundol Dand, is a lake in Swat Valley, Khyber Pakhtunkhwa, Pakistan, which is located in the north of Utror valley at a distance of 19 km away from kalam. Similarly, there is a well known story about the lake which is that every night in a month, a golden bowl appears in the center of the lake and glistens like moon but no one has ever touched that bowl due to magical powers inside it. Kundol Lake lies in the lap of Hindu kush mountains at an elevation of (9,950 ft), in the north of Utror, encompassed by snow clad mountains and towering trees. Similarly, the trail to the lake from Ladu is easy to follow as a large stream flows down from the lake, which merges with River Swat in Kalam valley. It leads beside the stream and takes you to the lake. On the way, lush green forests, picturesque spots and gushing waterfalls welcome one’s to the region. The mountains around the lake are covered by thick blanket of vegetation that enhances the beauty of the lake very much. The margins of kundol lake serve as the camping site during the summer season for the trekkers. Burj Al Swat Hotel updated their profile picture.